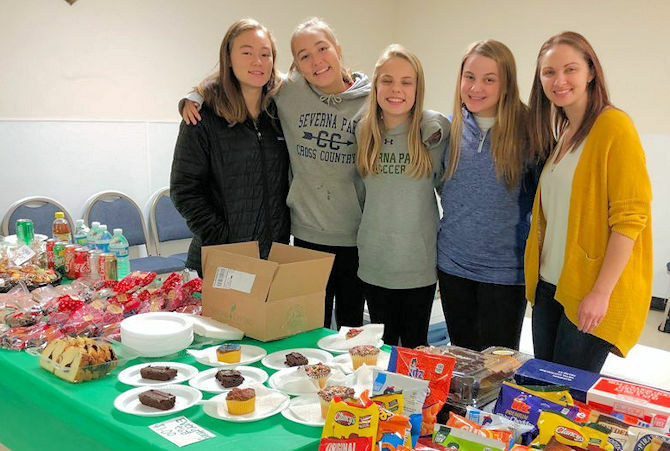 December 2018 -- Our Great Volunteers!! A HUGE thank you to these incredible young women that give the gift that keeps on giving - volunteerism! 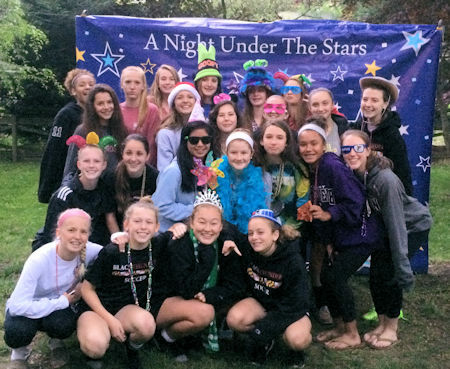 There aren't enough ways to that thank these 2 Severna Park Girl Scout troops for always being there for us! We are overwhelmed with gratitude! October 2018 -- Eleven Years of Birthday Gifts to MAS Rescue! 11 years!!! 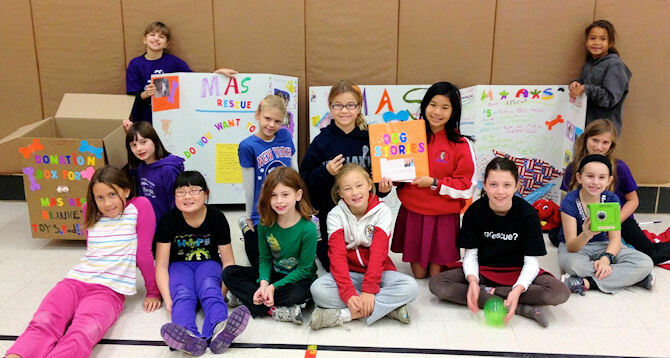 Grace has asked her lovely friends to donate to MAS Rescue in lieu of birthday presents for 11 years! How do we spell AMAZING?...G-R-A-C-E!!! To Grace and her incredible Mom, Charlotte- thank you for always being there for us! We just love you both and are so incredibly grateful for your kindness, your compassion, and your generosity! Happy Birthday! What an incredible young woman you are Grace and what a gift that we have gotten to know you and your mom over these 11 years! 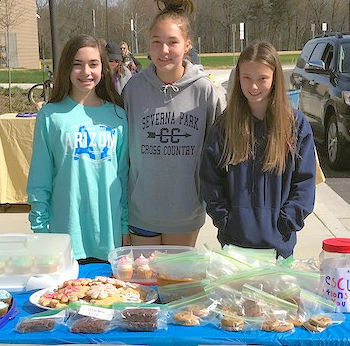 A giant thank you to Girl Scout Troop#10300 for their amazing help and donations, energy, compassion and hard work at the Earth Day Festival this past Saturday. 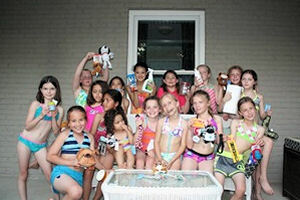 These amazing young people made dog toys and baked good to raise money for MAS Rescue! They also created awesome posters to raise awareness and they volunteered for the whole event! THANK YOU from the tips of our tails to the points of our ears! You girls are FABULOUS! June 2017 -- Happy Birthday Mia! Thank you for being a wonderful advocate for animals and for being so generous and selfless to collect gifts for the animals on your birthday! We think you are doggone terrific! 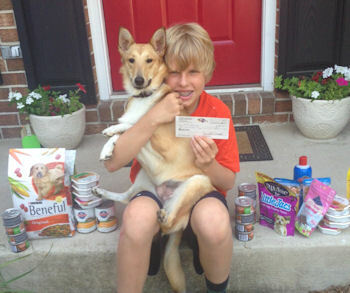 Mia, we hope you had a great day and we thank you from the tips of our tails for being a hero for MAS Rescue!! October 2016 -- Happy Birthday Grace! Our angel Grace has done it again! Nine years in a row this selfless young woman has requested donations in lieu of birthday gifts. She is a beautiful person inside and out and we are so delighted to know Grace and her mother, Charlotte! Thank you from the bottom of our hearts and the tips of our tails! April 2016 -- Happy Birthday Rachel! We've lost track of how many times you have given up birthday gifts to help MAS Rescue! Thank you for being so compassionate, generous, and special! We are unbelievably grateful and impressed!! We hope you had the happiest birthday and we wish you a wonderful year. Thank you for everything you do, from these incredible donations, to helping out with fostering and volunteering! XO XO XO!! October 2015 -- Happy Birthday Grace!! If your jaw is dropping, it should be! 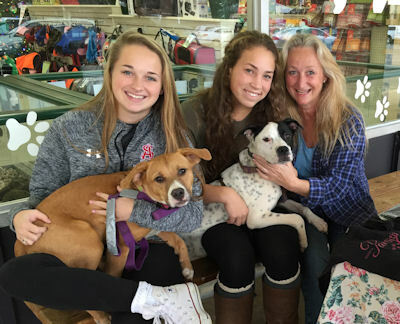 For eight straight years this wonderful angel, Grace (pictured on the far left) has asked her friends to give our animals her birthday presents! What an incredibly compassionate, giving, kind and loving soul! We have loved watching you grow up and we cannot thank you enough for the generosity in your heart! 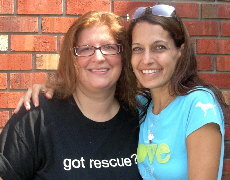 We love your mom too(pictured on right) - a wonderful example of loving and giving! Happy Birthday!!!! June 2015 -- Happy Birthday Miriam!! 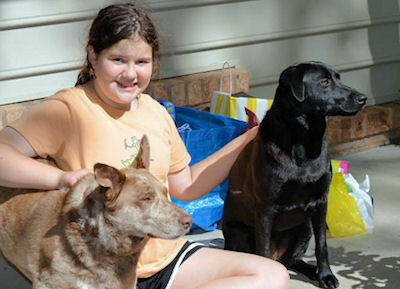 Miriam, pictured with her dogs Rosie (an MAS Rescue alumni) and Ruby (adopted from the SPCA), accepted donations for MAS Rescue in lieu of birthday presents. 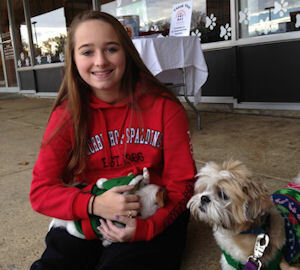 In addition to collecting donations, Miriam was kind enough to invite 2 adoptable MAS pups to her party! We don't know who had more fun - the kids or the pups! 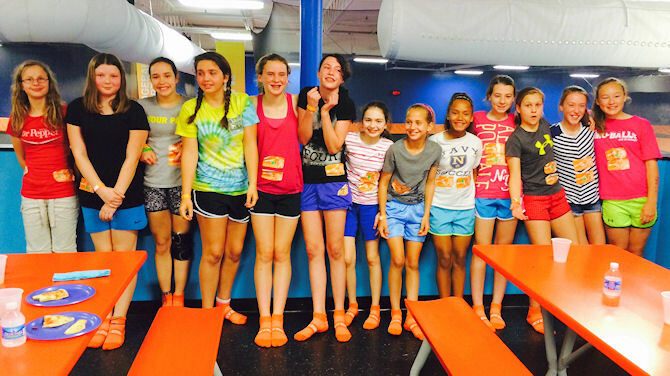 May 2015 -- Way to Go TROOP 10300!! What an INCREDIBLE job they did putting together a FABULOUS Quarter Auction and raising a tremendous $1200 for MAS Rescue and what a HUGE help it is! Thank you to these terrific girls and there fantastic leaders! We are SO impressed and grateful!!! Thank you SO much for being such a superstar for MAS Rescue! 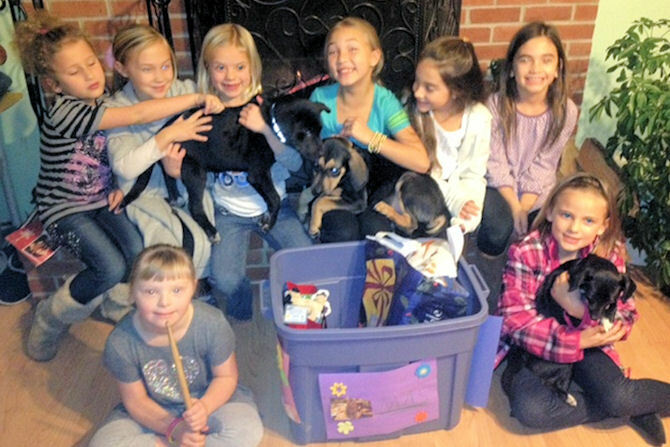 Instead of receiving gifts for herself, Julia asked all of her friends to bring gifts for the cats and dogs at MAS Rescue! What a lovely, generous and compassionate young lady! We think you are purrfectly terrific! February 2015 -- Happy Birthday to one of our "MAS Heroes", Amanda!!! Happy Birthday to one of our MAS Heroes!!! 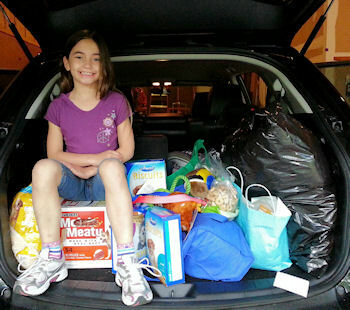 For the 4th year in a row, Amanda has asked for donations to MAS Rescue in lieu of birthday gifts! 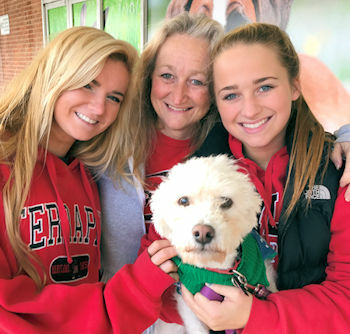 Amanda, you are such a compassionate, kind and wonderful human being and we thank you SO much for your generosity and selflessness and ALL that you do for animals in need! Lots of wags and purrs! October 2014 -- Our Darling Angel, Grace - Giving Her Birthday Gifts to MASR. 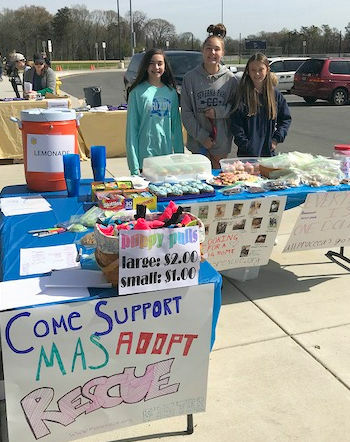 Grace, the beautiful gal in the middle is on her SEVENTH year of asking for donations to MAS Rescue in lieu of birthday presents for herself! She and her mother (the beautiful gal in red) are treasures! They are such compassionate, bright, kind, generous and loving people and our gift is that we know them! THANK YOU BOTH SO MUCH for the love and thoughtfulness over all of these years!! We just love you! Happy Birthday Grace!! June 2014 -- Happy Birthday to one of "MAS's Helpers", Jake! Happy Birthday to wonderful Jake!! 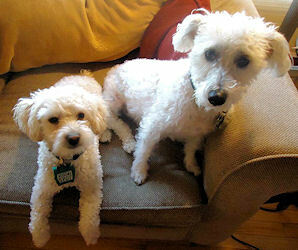 Jake is pictured here with his adopted MAS pup, Abbey. For his birthday, this selfless, compassionate and kind young man asked only that his friends bring gifts for the foster dogs at MAS Rescue and/or donations to help with our vet bill. All of the furry and human beings at MAS Rescue are so impressed and grateful! A gigantic thank you for a terrific guy!! May 2014 -- Happy Birthday Julia!!! This young lady is lovely inside and out! 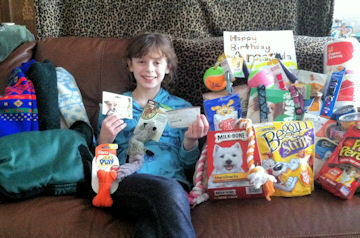 She gave up all of her birthday presents so that her kind guests could bring gifts and donations for our rescued cats and dogs instead! What an impressive girl!! 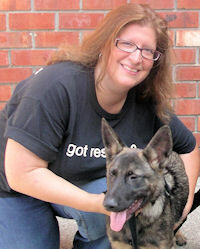 Julia, we hope you had a great day and we thank you from the tips of our tails for being a hero for MAS Rescue!! Happy Birthday to the wonderful Lena who is beautiful inside and out! 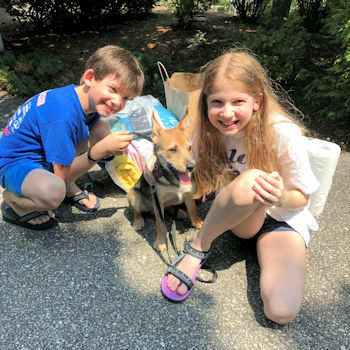 Lena has not only participated in more fundraisers and events than we can count but she also gave up all of her birthday presents and asked for donations to MAS Rescue! She raised lots of money and 100% of that goes to our vet bill! She was most recently seen being our little tripod, Chelsea's handler at Earth Day. Lena, we think you are 100% fantastic! We are all wagging and purring to express our heartfelt thanks!! February 2014 -- Happy Birthday to one of "MAS's Angels", Amanda! Happy Birthday to one of MAS's angels, Amanda! For the 3rd year in a row, Amanda requested that her party guests bring gift for MAS rescue instead of for the birthday girl! Amanda, you are so incredibly special! We wish everyone was a selfless, compassionate, generous and kind as you are! We are SO grateful for these incredible donations and your loving heart! Our original MAS Rescue angel has done it again!! This beautiful (inside and out) young lady has asked for gifts in lieu of birthday presents for 6 years in a row!!! How is that for selflessness and compassion?! We just love you and your mother Grace and we wish you both love and joy, just what you've given all of our furry friends for 6 straight years!! August 2013 -- Amazing Troop 1788 Comes Thru Again!! 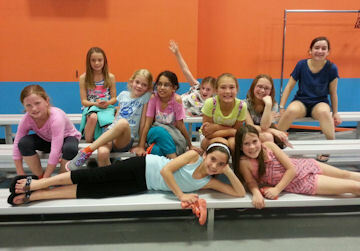 Troop 1788 never stops helping and never stops impressing us!! This AMAZING group of girls created, planned, organized, orchestrated and implemented a fashion show to raise money for MAS Rescue! Not only did they sell out tickets, solicit wonderful donations, make the event beautiful, auction off clothing, make all attendees feel special, but they also gorgeously modeled and emceed the entire show and each girl had an MAS dog accompany her down the runway! The event was a tremendous success! 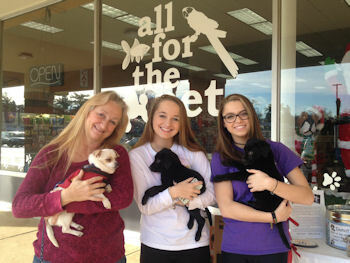 Everyone loved it, the girls were spectacular, 4 dogs got homes as a result and they raised $2688.31!!!!! We are all purring and wagging our tails!! Thank you to all of the girls and their extraordinary troop leaders, Angela and Elaine! Happy 9th Birthday to Ella(pictured right in the middle with the dog toy:-)!! Thank you for your incredible generosity! Collecting donations for MAS Rescue instead of presents for yourself speaks volumes about what a wonderful person you are! We are so impressed and grateful! Ella also has a very special talent and has made great friends with some of our very shy dogs like Rue and Diego! We love you, Ella!! Happy Birthday Julia - you are surely worth celebrating! 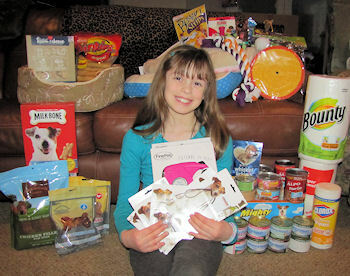 Lots of tail wags and purrs to this wonderful young lady who so selflessly collected donations in lieu of birthday presents to help our animals! A HUGE thank you to the fabulous Abby (pictured with a giant smile and her foster hound on her lap)! Not only is Abby sister to 3 MAS cats and dog and foster sister to a puppy, she SO selflessly asked for gifts for MAS Rescue for her birthday! She raised over $100 and collected lots of excellent goodies. Can someone say angel?! We love you Abby! 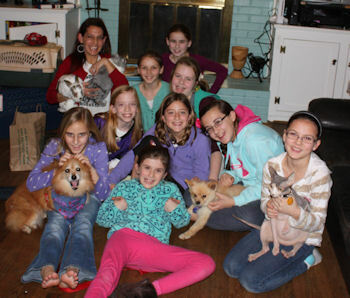 A million wags, purrs and licks to this AMAZING Girl Scout troop! This group of bright, creative, dedicated, hard working, and compassionate young ladies support MAS Rescue in more ways than we can list. Here are just a few: raised $100s to help pay our vet bills, collect countless donations to help our animals such as food, toys, treats, etc., help spread the word to multitudes of people, volunteer at our adoption events, collected truckloads of things for our yard sale, ADOPTED some of our lucky cats and dogs and the list is not nearly complete! We are so honored to work with this great group of young ladies, their extraordinary troop leaders and their loving parents! THANK YOU!!! A HUGE thank you to Robyn, Mat, Harry and Curly! Robyn and Mat adopted Harry and Curly from MAS Rescue in September 2011. In September 2012 Robyn and Mat hosted a BBQ in honor of the anniversary of Harry and Curly coming into their lives! What a fantastic reason for a party! As if that was not wonderful enough, they asked all party guests to bring donations for MAS Rescue! Look at all that food! 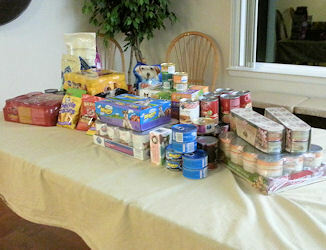 All of our foster dogs, puppies, cats and kittens will be eating very well for quite some time! Thank you so much Robyn, Mat, Harry and Curly!! 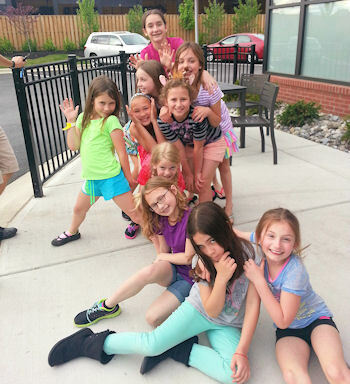 A gigantic thank you to Troop 2333 of Severna Park. 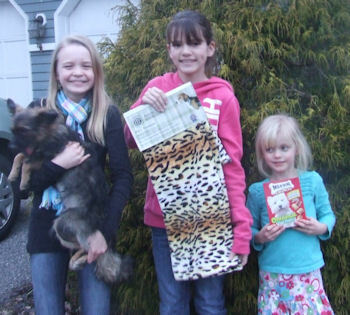 These girls are animal superheroes! They made delicious dog treats that every dog gobbled up, adorable and incredibly useful handmade "adopt me" bandannas and are planning a drive to support MAS Rescue. What thoughtful, hardworking and generous girls! 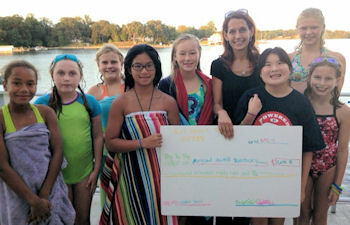 These 4 lovely girls raised $100 by selling lemonade to benefit MAS Rescue! Very impressive! Very kind! Very helpful! In addition, for Chloe's birthday she asked for donations in lieu of presents and the animals surely made out extremely well! Thanks to these fabulous kids!! Pictured are Chloe, Lane, and Leah; not pictured but there in spirit is Grace. To All of My Dear Volunteers..
Winter has arrived and MAS Rescue is busier than ever. Our foster families are hanging tough, I know how difficult it is to juggle family, friends, shopping, cooking and cleaning puppy/kitty messes. One less thing would be helpful... right? But I can always count on you. I love that about each and every one of you. We have saved many lives this year, touched the lives of some tremendous people and their families. Each day, each one of us make a big difference. I am living my dream, to save the most innocent of lives, give them a second chance, and a reason to purr and wag their tails. I hope each of you also find joy, and satisfaction in what we have accomplished together over the years. 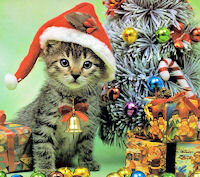 I want to take this time to wish all of you and your family the Happiest of Holidays, and a super New Year. We look forward to Yappy Hour at Meadow Mill Athletic Club on Jan 3. The foster gifts collected, will be distributed. A huge thank you to Krista and her Mom of MMAC, for allowing MAS Rescue to have our "Donation Tree" their facility. Best Wishes, stay safe, Big Hugs! 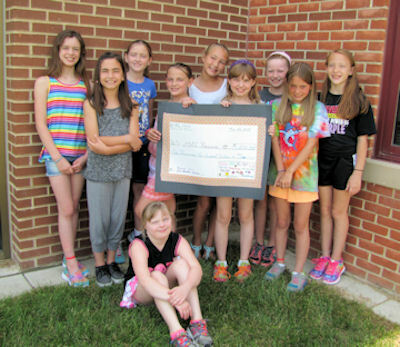 Folger McKinsey Elementary School's Girls on the Run who chose MAS Rescue as their community service project and collected wonderful donations of things and money. What a fabulous group of gals and what a terrific thing they did! Thank you!! Last month I announced the Birthday of our wonderful adoption coordinator, Jennifer Haber. Each year she unselfishly requests that gifts for her, be donated in her name for the benefit of MAS Rescue. Pretty cool, right?? Well, this year, her brother gave MAS Rescue a gift that was absolutely priceless... he was able to financially afford to pay off all our medical bills. YES ... it is amazing!!! I was totally overwhelmed, I was brought to a babbling, bumbling, sobbing mess as I found out, and then shared the news with Jennifer. What a blessing!!! Obviously, people who give so unselfishly of themselves do not look for notoriety... but I could not let this go unnoticed or underappreciated. This burden was a huge weight that has been lifted from me, by two lovely people. Mere words are not enough to express my complete gratitude. I know everyone in this organization will be just as amazed, and thankful to know that our animals will continue to be looked after by our vets, without the pressure of a looming bill hanging over our heads. I am forever humbled and thankful to everyone who helps me to save innocent lives.